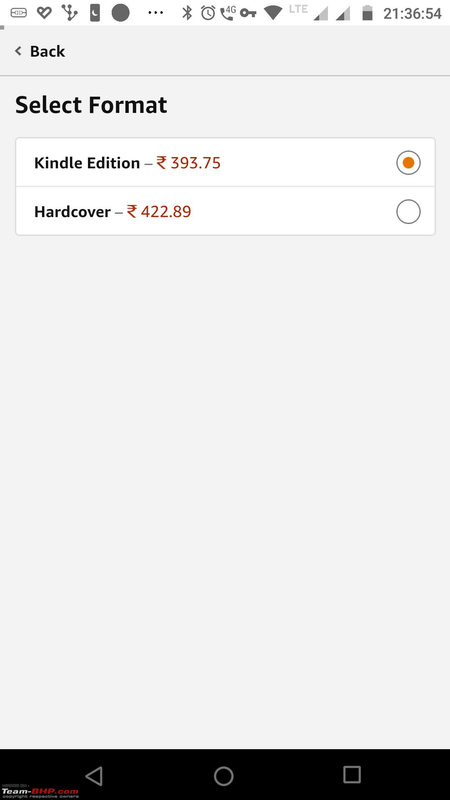 Has anyone got access to this Amazon Pay ICICI Credit card? Seems pretty neat, considering I do a lot of purchasing on Amazon, helps with the 6 month No Cost EMI options. I have not got an invite yet. Great. I wonder on what basis Amazon selects people to get the Pay card. Guess if you're a prime member, you get early access to these things too! Do you have an option to invite others to apply for the card through your username? No such option to invite and yes am a Prime member. Another question: If I buy something worth about 120 USD on Aliexpress and DHL is the shipping partner to India - will i get slapped over at Customs? With private couriers, duty is guaranteed even if the item value is $20. If the parcel is handled by India Post once it reaches India, chances of getting hit with duty is much lower esp. if the value is under $30. For *declared value* of $120, you'll be hit with duties irrespective of the shipping partner. PS Some parcels I've received from Germany shipped through DHL were handled by IndiaPost locally, probably because they were sent through 'Economy shipping' option. Last edited by theredliner : 8th February 2019 at 13:11. With private couriers, duty is guaranteed even if the item value is $20. If the parcel is handled by India Post once it reaches India, chances of duty is much lower esp. if the value is under $30. For *declared value* of $120, you'll be hit with duties irrespective of the shipping partner. Okay thanks. What could the maximum potential duty component be? This is for a single biometric door lock unit. I'll be damned if they can find an applicable duty for it. Aliexpress standard shipping costs 60 USD vs DHL which costs 20 USD. Will try and see if there are any other sellers/sites from which I can buy through India Post. Last edited by Red Liner : 8th February 2019 at 13:20. For all personal use items, they charge ~45% of landing costs (item price + shipping). For business imports, they charge based on the item category. If DHL is charging 20 USD, it will be economy shipping I believe. I used to pay 20-25 EUR for riding gear shipped from Germany through DHL and it used to be handled by India Post here. All dealing with customs would have to be done by you personally. I used to send the invoice through email whenever the tracking page suggested that the package was held by customs. They would charge some duty the details of which I would come to know about only when the postman would reach out to me about the pending duty. For more expensive shipping methods, these companies generally handle the clearance themselves (has happened with Aramex, Fedex etc.). Economy shipping with DHL used to take about 1 month to reach from Germany. 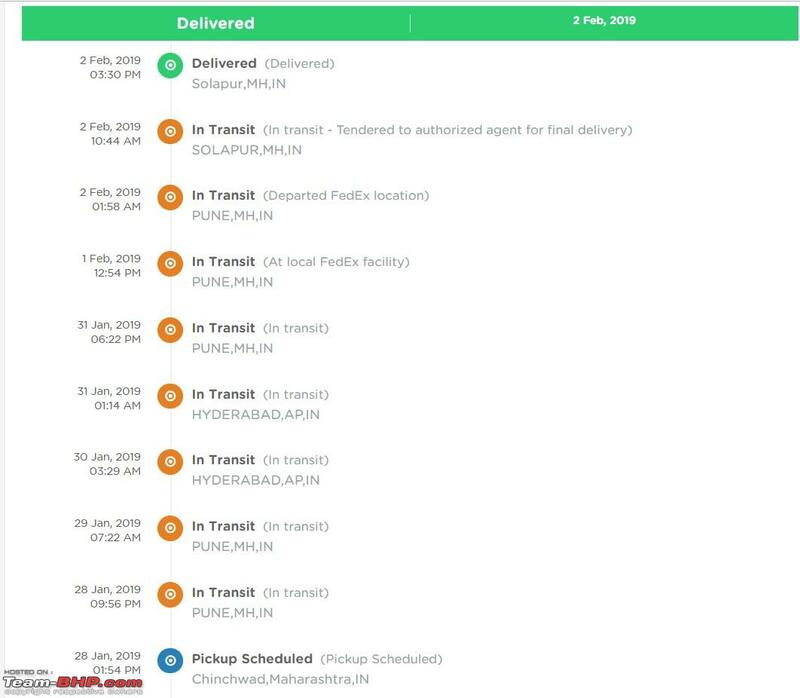 AliExpress standard shipping too is handled by India Post here, but reaches in 15-20 days on an average. Last edited by theredliner : 8th February 2019 at 13:22. Customs duty rates can be looked up at http://www.cybex.in/indian-custom-duty/. A search of "biometrics" brings up HS code: 85437099 and total duty of 23.5% on CIF value. But it is possible that for personal stuff they just apply a flat rate of duty. What could this flat rate be? 45%? That would be insane. 23% duty still makes it cheaper than 50% of what Godrej sells here in India. Been using the Kindle app on iPad for a while. Today, I was about to purchase Kuldeep Nayar's On Leaders and Icons: From Jinnah to Modi. 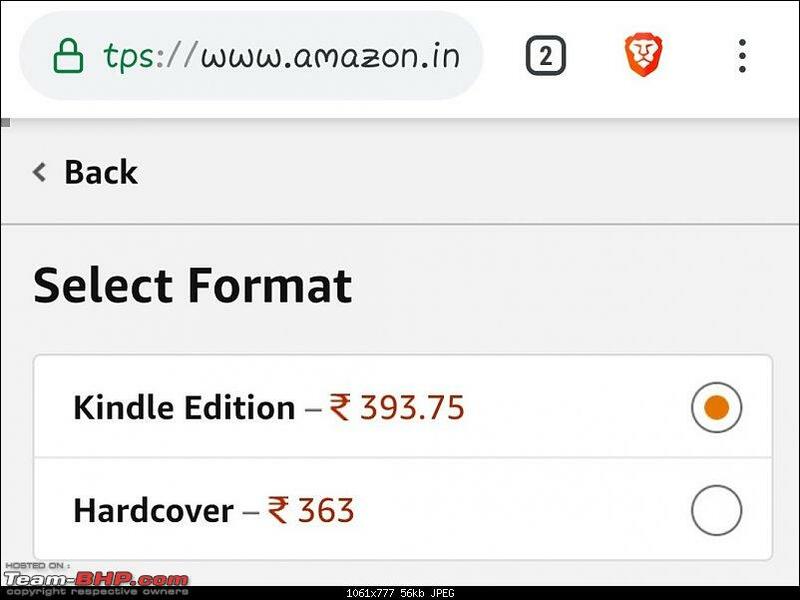 Strangely, the Kindle edition is priced higher than the hardcover version. What gives? 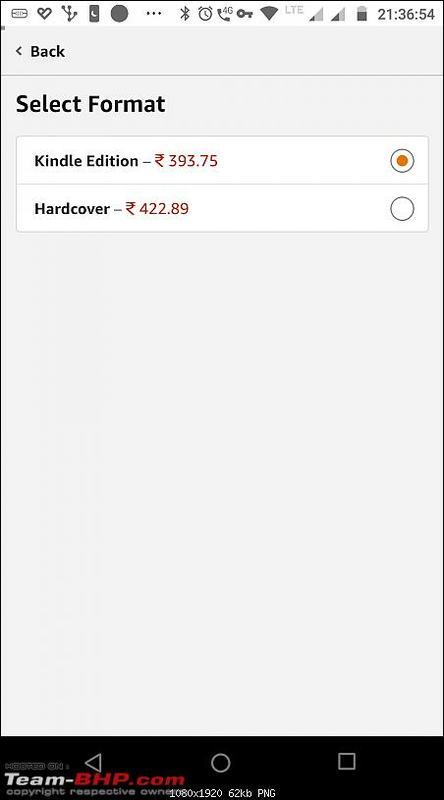 Strangely, the Kindle edition is priced higher than the hardcover version. What gives? Either Amazon is monitoring this thread, or they want you to buy the hardcover. I'm a committed ebook type, so this is what they show me. It must be the former . 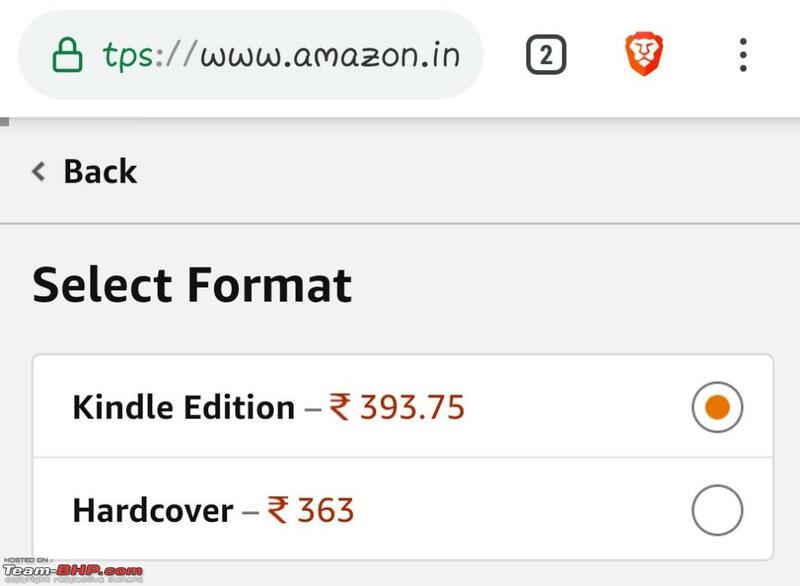 Now, I too am seeing the same price as you. I like e books; but don't buy them for titles that I would read once and then like to pass on to others. Was a hoarder once, but no longer! Last edited by dailydriver : 11th February 2019 at 22:15. I have bought 2Nos. 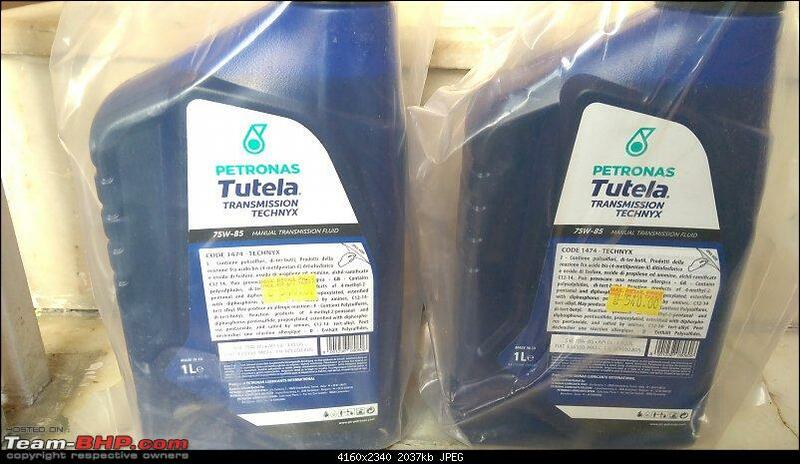 of the Petronas Tutela Technyx 75W85 GL4+ 1 Ltr Packs from 99rpm.com on recommendation of many fellow bhpians. The order was placed on 24-01-2019 afternoon at 13:26 hrs by paying through Netbanking. As I was skeptical about the delivery of product without getting the order into their trashbin and money in their wallet, I placed order for 2Nos. of Bottles only (as against 4 Bottles to keep 2 Nos. for future use). "Items in your order have not been dispatched since some of the parts are not yet ready and awaited. On your request, a partial dispatch may be initiated if it helps you in early repair. 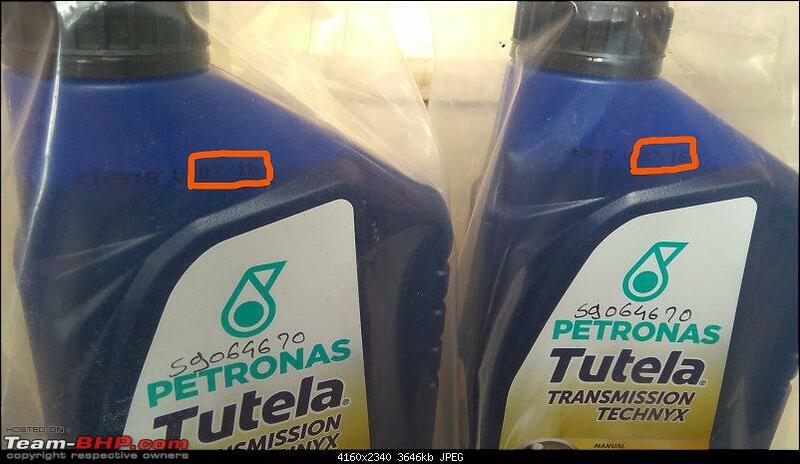 You may stay assured & informed that we are keeping full track of all ordered items. These parts shall be dispatched once received from manufacturer. I was like- Is it that they will take 20-25 days to deliver this order as mentioned by some of bhpians? But then I thought- OK Lets see how long this delivery will take as this is my first order. Then I received email and sms from them on 28-01-2019 evening with shipment details of Fedex. 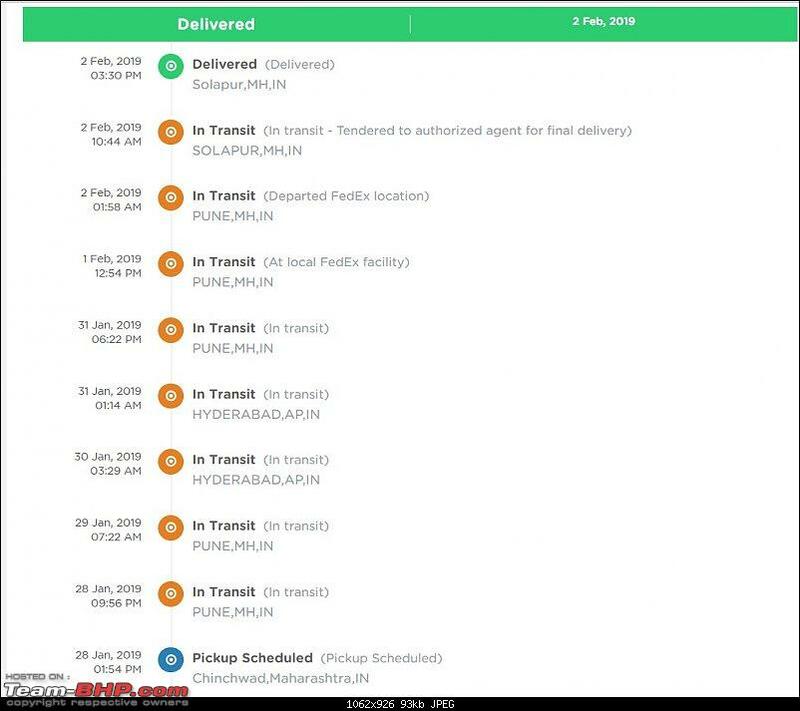 I did not understand why did the Fedex took it all over to Hyderabad from Pune and back to Pune and then delivered to me in Solapur even though they could have easily sent to Solapur directly from Pune. Also I was thinking about the case of Anurag buying Engine Oil and some oil was spilled in the outer plastic bag due to poor packing/mishandling until I saw the outer plastic bags of my order to be clean. 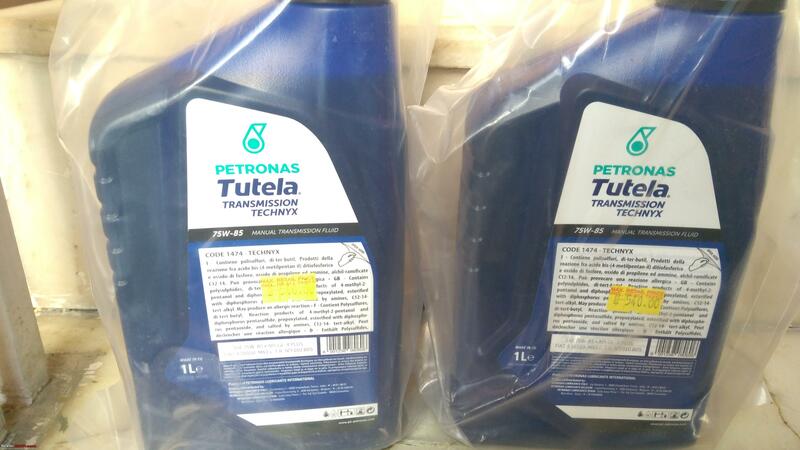 I will update about the performance of this Gear Oil which I will get done on this Thursday or Friday in the Synthetic Gear Oil Thread. No, this isnt expedited shipping but rather free shipping, and NO, it isnt DHL or Fedex Date of order was 13th Feb.
Last edited by audioholic : 18th February 2019 at 09:47.